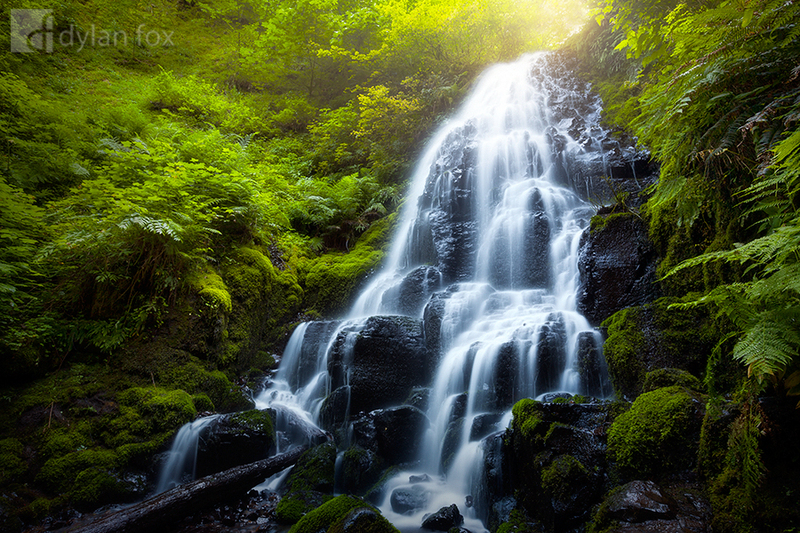 This photograph of Fairy Falls was on my second hike up this particular trail. It is quite a steep track but when you arrive at these falls it is all worth it. They are named very appropriately. I love the way the water appears to burst out from the forest above. I had never photographed or even visited a forest like this before and just couldn't believe how stunning it was. Secure your limited edition, Fairy Falls photographic print, 'Fairy Tales', by selecting your desired print size in the menu to the right.